How should we deal with one tenant leaving during a tenancy? It’s always a situation you hope, as a landlord, you don’t have to deal with – when a tenant leaves early. Not only do you have the issues of finding another tenant you also have the potential legal issues to deal with surrounding the tenant’s leaving. First things first: you should have in your tenancy agreement a clause that covers such an occurrence. 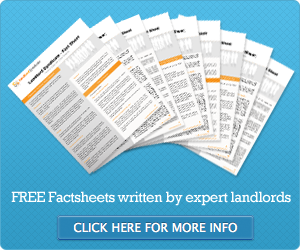 This is vital – especially if the tenant’s leaving turns into a legal dispute. When a tenant puts in a request to terminate and leave early from a fixed term tenancy it is essentially a negotiation between them and the landlord. (The issue is clouded if there is one tenant leaving; leaving others behind and this would be covered by ‘Surrender in Part’ and is a slightly different issue). A landlord is not obliged to let a tenant break the terms of the tenancy but it’s often common sense to negotiate. You need to calculate any loss of fees you may incur – which in itself may be disputed – or whether your clause for early termination has an actual penalty value to cover the costs you will have to carry and is one agreed by the tenant when s/he signs the contract. A leaving tenant may also find the landlord a replacement tenant. Do not at any point say yes to the new tenant without carrying out your usual vetting procedures. They may be a perfectly good tenant but they aren’t taking over the tenancy as theirs will be a fresh contract. This situation is going to occur so it’s more of a situation of how you handle the transition. 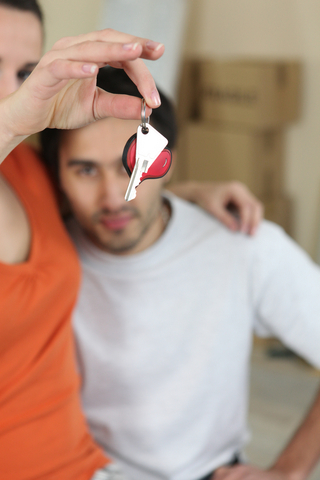 By working with the leaving tenant you will part on good terms and avoid any missed rent payments. It’s always wise to talk since any costs you incur funding a replacement will have to be borne by the leaving tenant (or, if you have a penalty clause, the costs will be covered by that). When a tenant decides to leave a property is something of a legal grey area. There is no legislation covering this eventuality and landlords need to set the terms for early termination, notice of termination and how the notice is served. This is purely a contractual matter between landlord and tenant. This termination date needs to be agreed. You should get a proper ‘Surrender of Tenancy Letter’ which will act as a written document and which will then be proof that the tenant has given up possession of the property to the landlord. If the tenancy agreement between landlord and tenant does not have a break clause and the landlord refuses to accept the termination notice then the tenant is contractually liable to pay the remaining rent balance for the fixed term tenancy. This is where the art of negotiation is necessary. If there are seven months remaining on the tenancy then you could both settle on four months’ rent as a settlement to quit. For more information and advice about how to deal with one tenant leaving during a tenancy, contact the UK’s premium provider of landlord services NoLettingGo.co.uk or call 0800 8815 366. No Letting Go are the UK’s leading provider of inventory management services, providing check in and check out services, property inventory and condition reports and specialist on site services to landlords, lettings agents and property professionals. Rogue’s gallery of filthy housing – but who’s to blame?